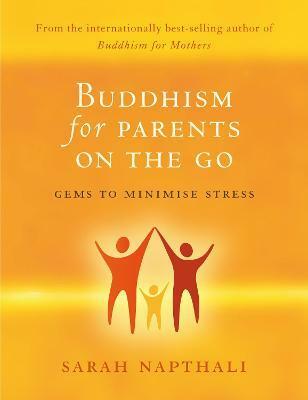 Become the parent you'd like to be with Buddhism for Parents On the Go. Schoolchildren, here is a book that will inspire you to be more patient and loving through the multifaceted, amazing and often difficult journey of parenting. drama of toddler tantrums to thoughts on teenage egocentrism, this invaluable book will teach you how to manage the expectations you have of yourself, your partner and your children. Buddhism for Parents On the Go will help you conquer the day-to-day challenges of life, reduce your stress levels and gain true insight into the ever-changing joys of parenthood. Sarah Napthali is a mother of two boys who strives to apply Buddhist teachings in her daily life. She is the author of Buddhism for Mothers, which has sold over 60,000 copies around the world and has to date been translated into nine languages, Buddhism for Mothers of Young Children (formerly published under the title of Buddhism for Mothers with Lingering Questions) and Buddhism for Mothers of Schoolchildren. Since the children started school, Sarah is very pleased to report that she manages to meditate (almost) daily.